"Gypsy Princess" is a commercially registered pontoon vessel, licensed for 19 passengers and 1 crew. 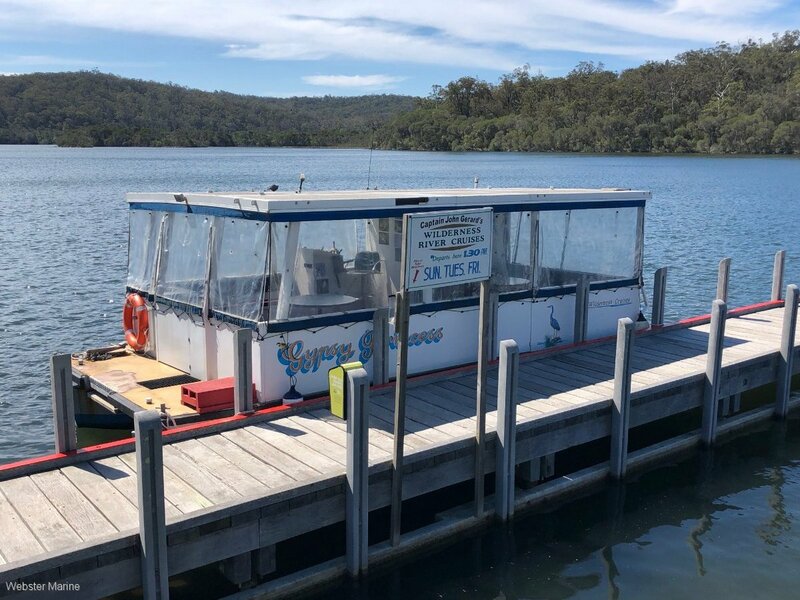 She operates on the magnificent Wallagaraugh River, upper Mallacoota Lake system at Gipsy Point and is well known for her unique tours of this beautiful waterway, especially for bird and wildlife watching. Powered by an economical Yamaha 50 hp four stroke outboard, she features wheelchair access, enclosed bathroom and all-weather protection for guests. Formally known as Captain John Gerard's Wilderness Cruises, this vessel is for sale with the business in situ, or can be sold as boat only. 1E certification with AMSA is current with the last survey inspection completed in November 2018. Documentation available upon request.